Still on a high, Kiama Jazz & Blues Club President Becky Guggisberg gives us her enthusiastic take on the Festival. Kiama should be feeling very proud. Jazzy bluesy ocean viewsy fezzy party was a triumph!! The sun shone, the music played, the streets were filled with visitors, friends and locals. It really was a vibrant, joyous playtime. The stage relocation was applauded, with the enthusiastic crowds overwhelmingly preferring the more intimate musical experience while sitting on the banks of Hindmarsh Park’s natural amphitheatre. Sporting colourful bunting, flags, festive beach umbrellas and picnic rugs, the styled park became a festival focal point. 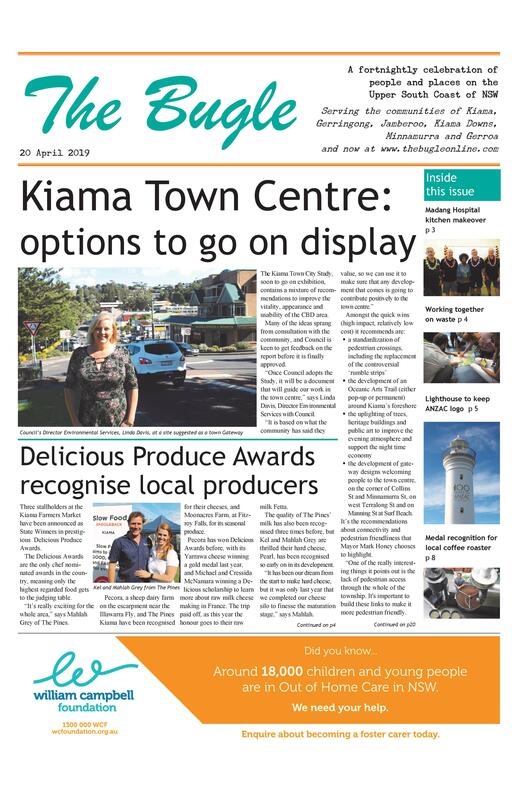 Spilling out then to the cafes, bars, restaurants and clubs, the crowd enjoyed Kiama’s finest experiences, with most businesses reporting a 75% spike in trade during this joyous event. Each venue lent itself to becoming a festival highlight with carefully selected acts performing in Kiama, Gerringong, Minnamurra and Jamberoo. Accommodation was snapped up and is already reported to being booked out for next year. The Little Blowhole Art Bar had 350 people attending to see our very own Festival Diva – Pearl – and the Lemon Squeezing Daddies. The streets became a dance floor as the fun flowed. The team of Volunteers that devote their time and energy to creating this event are already back to business – smiling with satisfaction as they prepare for numerous sideshow events, the perfect way to fun(d) raise for next year’s festival. 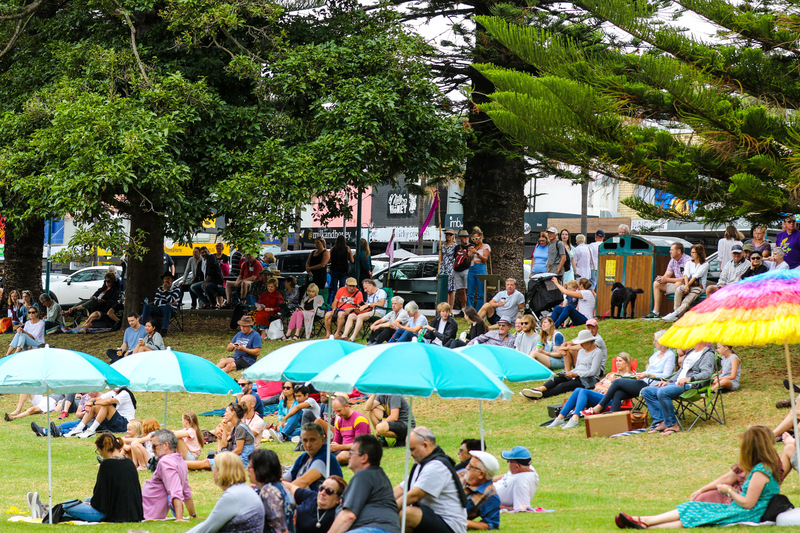 A huge thanks to Kiama Council, Destination Kiama and all our festival partners and contributors. Tom Oxley and Pete Henderson are a dynamic duet, new to the Team, and we praise their extraordinary festival contribution along with Saltyco.co who socially shared the festival vision with the world. Follow the Kiama Jazz & Blues on facebook & Instagram – some seriously great events are coming our way this year.